Two unrelated high achievers who share the surname Bailey have taken out top honours in this year’s WA Education Awards. Wanneroo Primary School’s Lynda Bailey was named WA Education Assistant of the Year, while Maureen Bailey from Australind Senior High School took out the award for WA Support Services Staff Member of the Year. For most schools, getting through the busy day would be impossible without the unwavering enthusiasm and specialist skills of support staff like Lynda and Maureen. Lynda Bailey with students at Wanneroo Primary School. School support staff offer much more than just a helping hand to teachers. From making sure the school grounds and the classrooms are well maintained, to ensuring students themselves are ready to learn, is all in a day’s work. 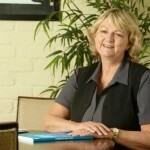 Lynda Bailey has worked with special needs students at Wanneroo Primary School for 18 years. She writes songs and poetry that are used as learning aids, and connects with her students through humour and puppets. The small goals that Lynda Bailey works through with each child make a big difference to them being ready to learn in a mainstream school. “The part of my job I enjoy most is always ‘the firsts’,” she explained. 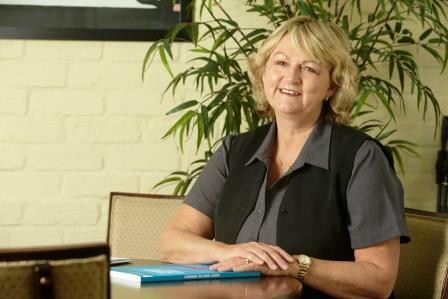 For corporate services manager Maureen Bailey, her 14 year long career at Australind Senior High School extends well beyond the traditional job of a business manager. One thing is certain about Lynda and Maureen: they each care deeply for their schools, students and communities. “When students with special needs master simple skills and they break into a smile in recognition of their achievement, the feeling is amazing,” Lynda Bailey said.